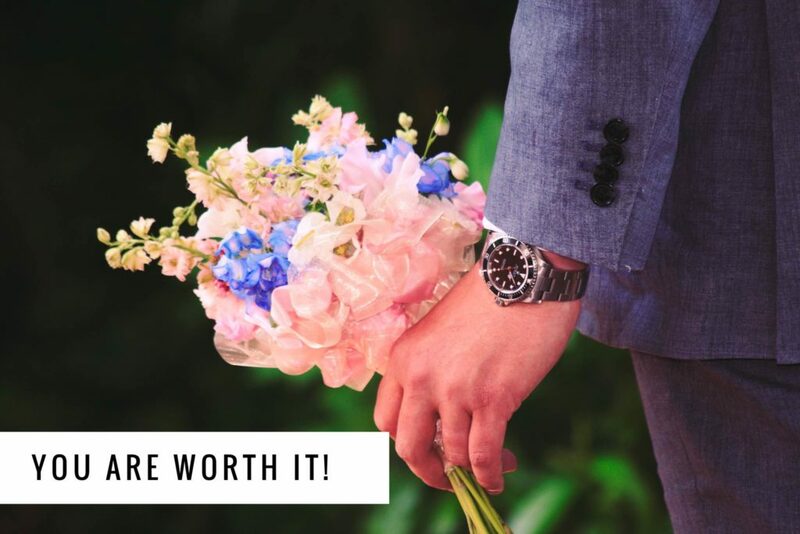 » You Are Worth it! We go to school and learn many things, algebra, geography, science and so much more, but where do we go to learn how to love ourselves? We learn self love from the loving relationships we have surrounding us. Well what if you don’t have those loving relationships as a guide what do you do? If you don’t know what self love is, you cannot apply as needed. Do you even know what loving yourself means or why it is even important. Loving yourself the right way may be a huge source of your unhappiness and you don’t realize it. Learning to love yourself then applying it to your life can help you gain more happiness. The first step to self love is accepting the fact that if you don’t love yourself it is not your fault. What you need to accept is that it is our responsibility to do something about it. Your love examples may have not been the best, but making the choice to redefine and change them is totally on you. Here are some key areas to work on when it comes to self love. Remember, you may not master these immediately and it is a work in progress. After all it took years to develop the version of self love you have now, it will take a while to unlearn and redevelop a healthier self love relationship. Again, recognize what you know about love is what you have learned from observation. Look at what you have observed all your life, is it healthy? If it was healthy you would not have a problem with self love. The fact that you are trying to understand what real self love is, clearly indicates you have no clue and want better. Decide today to work on loving you more. It will take time, commit to working on loving you, you will make mistakes, just keep trying. Begin with telling yourself. The worst thing you can do for yourself and your self esteem is compare yourself to others. comparing yourself to someone else simply hurts your perception of who you are. Everyone is different and achieve success at different points in time. The tools of the successful person is working with may be different to the tools you are working with. If you both have a ditch to dig and you have a spoon and they have a shovel, how would you complete the task at the same time? Stop comparing yourself to others. We all have different life experiences, life challenges and life in general is not the same for two people. Being emotionally honest with yourself is a tough one, but you can do it. Facing yourself with all your flaws and being honest about who you are and how you feel is important to learning to love yourself. If you truly face how you feel you can fix how you feel. Lying about how you feel adds more shame and hurt to an already touchy situation. Loving you starts with accepting you as is. I see it all the time. Many people do not celebrate their wins! Celebrate your wins, no matter how big or how small. A win’s a win! Losing 1lb, 10lb or 100 lbs are all wins! Getting a $.25 or $25 raise at work is a win! All wins are efforts, no matter the size of the effort. Congratulate yourself on your wins. This reminds you that you are making progress. Progress is progress no matter what shape or size it comes in. So you don’t know it all when it comes to loving yourself, how can you learn it all? Invest in your personal development, whether it is book, e-courses, seminar, or just reading as much as you can on the internet. Invest in you and being a better you. If you have no one around you to guide you, seek out other resources. After you have read, built up your self value and confidence, next up resolve old issues. Do not attempt to resolve an old issue unless you spent the time understand the issue within yourself. This is very important. If you don’t understand how you truly feel about an issue you won’t be able to resolve it with anyone else. Resolving it within yourself gives you a clear picture and understanding of it. Once you understand it, you can better articulate how it affected you and made you feel. Resolving issues allow you to shed hurt that have held you from healing. Challenge yourself to be more positive. Challenge yourself to only say good thing about yourself for a week. Challenge yourself to never say anything bad about yourself again. This may appear to be a challenge, and will not be conquered over night, however if you start thinking positively about yourself, you may change your self perception. You are beautiful, you are confident, you are smart and you are successful. Saying positive words more often will bring a different perspective to your life. These are just beginning steps to learning to love you more. The journey will take time and you will falter along the way, the result will be worth it. Learning to truly love yourself will open up your world to having healthier relationships all around. Your are worthy of happiness, go out and find it today! Previous Post Work With What You Have. Next Post What Are You Giving Away?